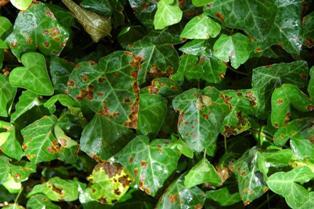 There are 2 solutions to this bacterial leaf spot disease for ivy: 1) use the organic program and spray the natural disease control products – Bio Wash, cornmeal juice, potassium bicarbonate, etc. 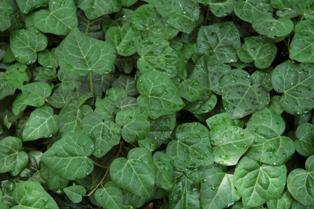 or 2) plant Persian ivy instead. It doesn't have this problem.